Another prime tract of land in Montgomery County, Texas successfully closed today. The Ranches of Pinehurst, a gated, equestrian development only minutes from The Woodlands offers a quiet respite from the hustle and bustle of the city. Beautiful 6-acre+ home sites with private bridle trails offer a great alternative for those seeking a little elbow room. The Magnolia School District offers quality education and the elementary school is just a hop, skip and jump away. The private, gated sub-division only has a few tracts of land left. The existing homes are on average in the million dollar range and have beautiful horse facilities, pastures along with the coveted wooded areas. If you are interested in land in and around The Woodlands, Montgomery County, Walker County or really anywhere in Texas, give me a call. I know my "dirt" and would love in assisting you with your real estate needs. 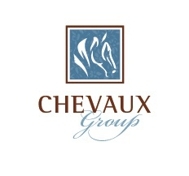 Chevaux Group offers a wide range of real estate services! Call me today. YESTERDAY I DROPPED MY TOP! ANOTHER CHEVAUX GROUP COMMERCIAL PENDING CONTRACT! TWO YEARS BLOGGING IN THE RAIN! HOW TO SPOT A SAVVY BLOGGER! CHEVAUX GROUP 100 ACRE NEW WAVERYLY RANCH ~ NEW LISTING!